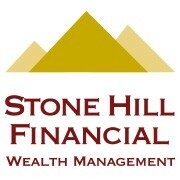 Stone Hill Financial LLC wants to help you meet your financial goals. Part of meeting your goals requires organizing all of your important personal and financial information. myMoney is a state of the art financial information and management system that allows you to organize and monitor all of your important information in one secure place. Go mobile with Stone Hill Financial! Now you can access all of your important information on your smartphone or device. Mobile Video. In today's internet world, your piece of mind and security is a high priority. Click on this video to learn more about how your personal information is held with the highest level of security. Stone Hill Financial and HTK are unaffiliatd with myMoney. Trademarks belong to their own respective owners.